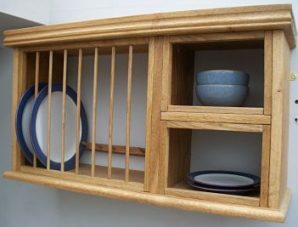 Our most popular design, the Campden Range has a modern look fitting in well with most kitchens. 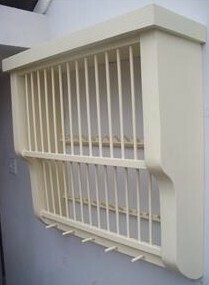 This rack will look especially good with any Shaker style kitchen, with its straight non fussy sides and a simple round edge finish to the bottom shelf and a clean face moulding to the top. 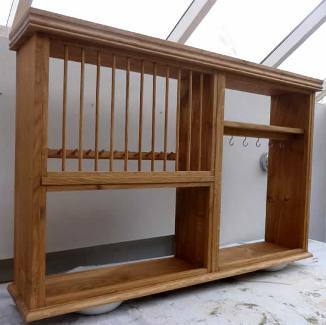 The racks are all constructed of 20mm Solid Pine or Oak and finished with a 45mm Solid Pine or Oak top.,All of the Plate racks in the Campden Range will hold large dinner plates up to 330mm and side/starter plates up to 250mm. 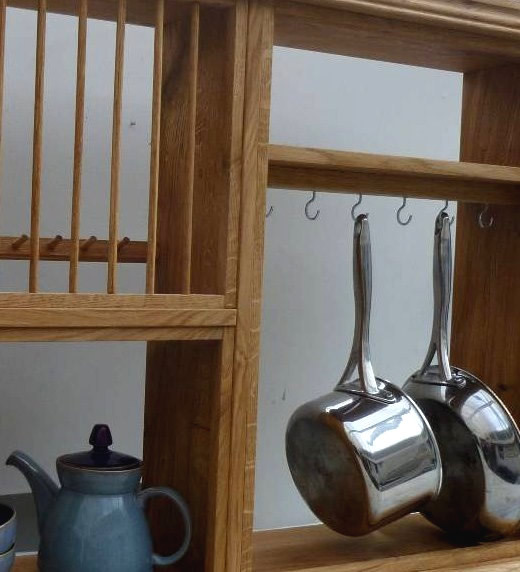 The Campden multi pan rack offers an excellent way of keeping your most used kitchen items easily at hand. Holds 12 Dinner/started plates from 33cms – 22cms. 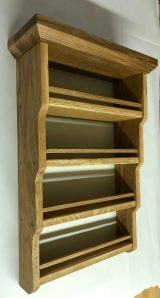 A large shelf opening of 28cms high. 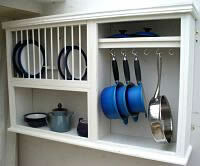 On the right is hanging space for 6 pans up to 45cms with a shelf over the top for lids.